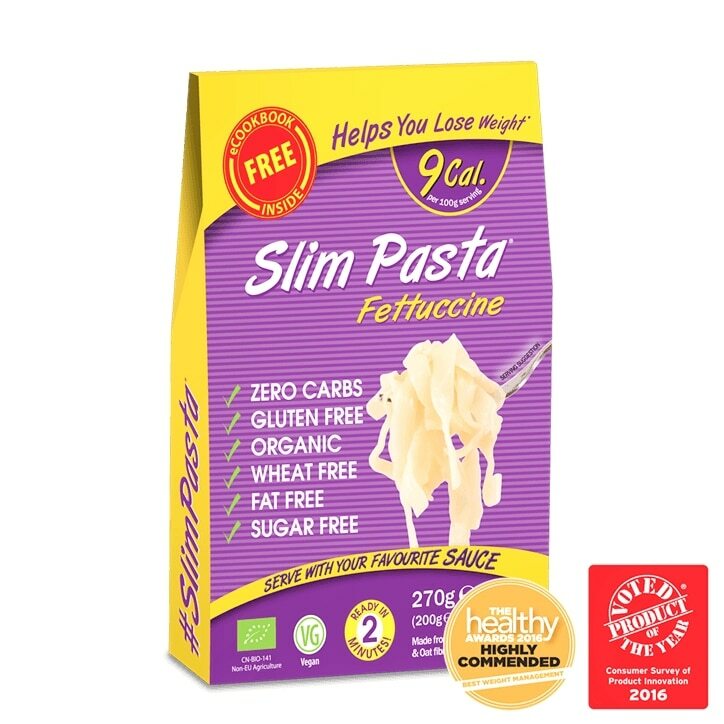 Eat Water Slim Pasta Fettucini is rated 3.9 out of 5 by 111. Rated 1 out of 5 by Shirley2 from Disappointing! I was so excited about trying this low calorie food as I hoped it would give me a feeling of fullness whilst I am dieting, but have to say that it is really difficult to eat. Firstly, it tastes of nothing - but even when smothered with loads of sauce, it was like chewing rubber bands, the texture is not like any food texture should be. I finished them but an upset stomach followed, and it left me wondering that they must be very hard to digest. There is no nutrition in these and even if you do manage to swallow them, they just don't resemble edible food at all. 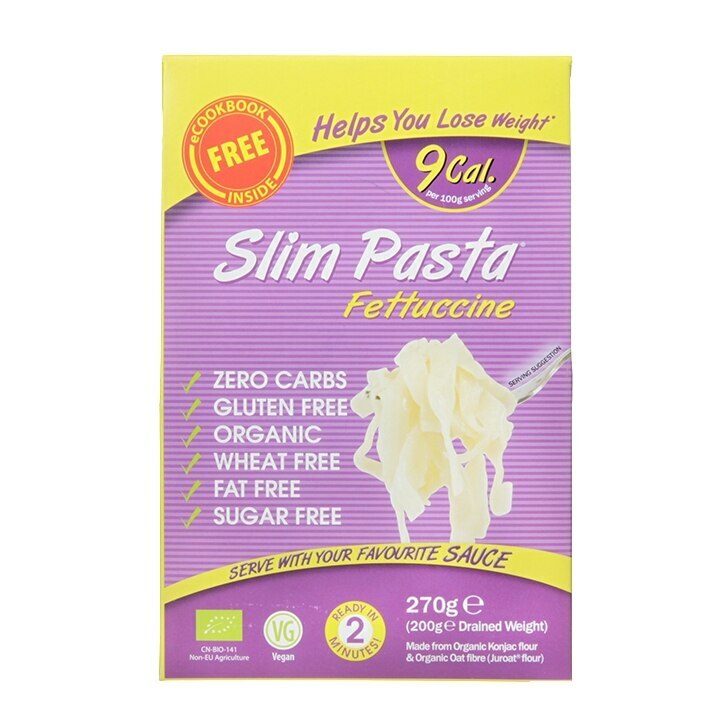 Rated 1 out of 5 by Shauni from So gross Was looking forward to this weight loss pasta alternative but honestly was disgusting I stopped after two mouthfuls. It’s a really wierd texture, feels like what I would imagine to be tiny eels going down your throat. Taste is gross. Strong fish smell when first opened. Do not waste your money!! !